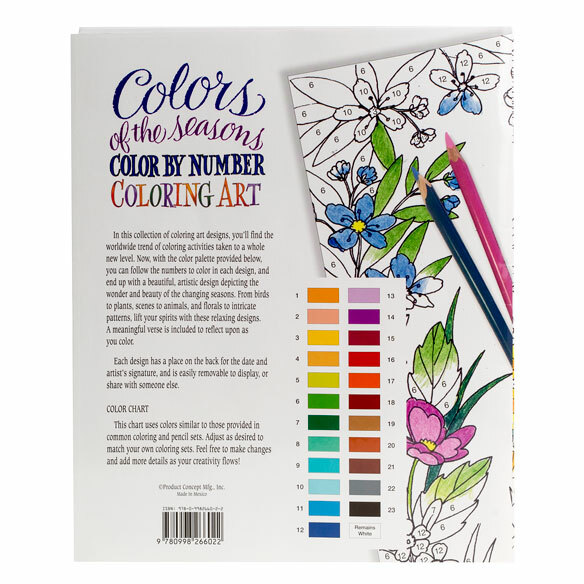 Colors of the Seasons Color by Number Coloring Book lets you create stunning artwork depicting the beauty of the changing seasons—and enjoy a little help from color-by-number guides! 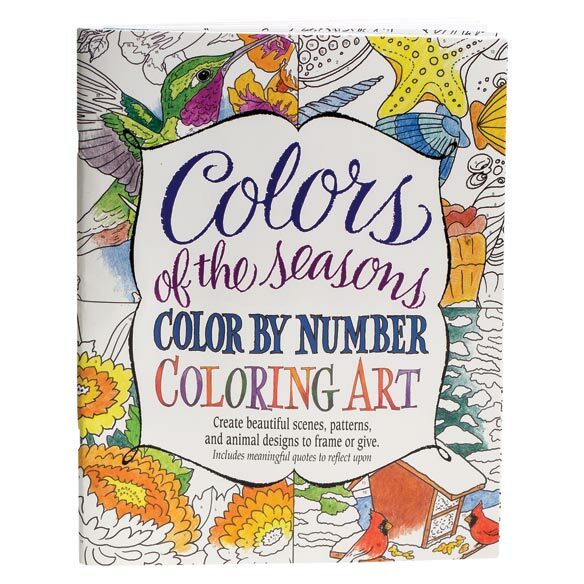 With the easy-to-use color palette provided, simply follow the numbers to color intricate birds, plants and animals, stunning scenes, fantastic florals and intricate patterns. All 24 pictures include an inspirational scripture verse to reflect upon as you relax and color. Features space on the back for the date and artist’s signature. Each coloring page is easily removable to frame and display or share with a friend. It's fun to discover one's artistic side; my daughter loved it, she loves to color. The nicest coloring book I have found..I love spiral binding, perforated pages, the weight of the paper, and the color-by-number guide at the bottom of each page. Also, it is nice being able to see how the items will look once they are colored..I am glad they have added different varieties to their line of the Stress Free Coloring Book. Friends of mine are also enjoying them. I enjoy coloring in the adult coloring books but prefer the guidance of 'color by number' & they are not readily available. Delighted to find this one. I like to color. It is a relaxing activity. Because this particular book has a follow by numbers, and I believe that it will help me to get the results that they are supposed to be. 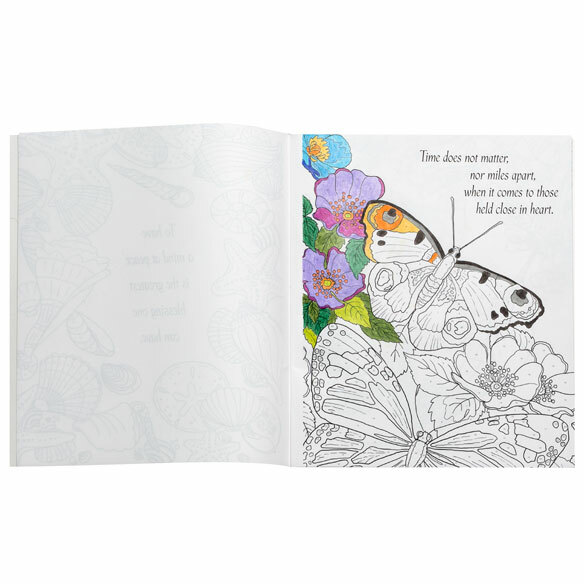 It also has inspirational verses to read as you color, to help bring relaxation and peace. Entertainment for wait time at medical appointments.